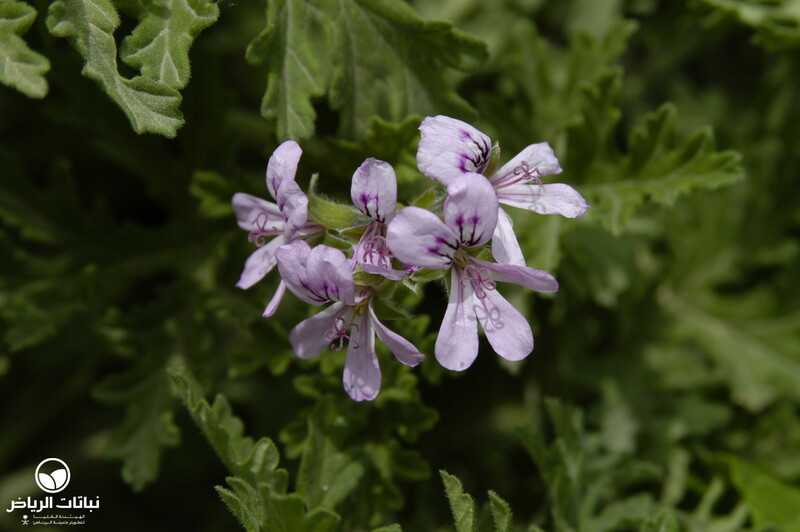 In South Africa’s Cape Province, it is possible to find Lemon Geraniums growing wild in scrub vegetation or light woodland. 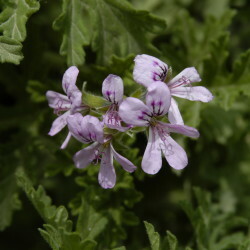 It is considered a sub-shrub for its herbaceous branches sprouting from a woody base to some 90 cm in height. Nevertheless, these upright bushes are also grown as annual plants in pots or beddings for combining attractive pink flowers with a pleasant fragrance. 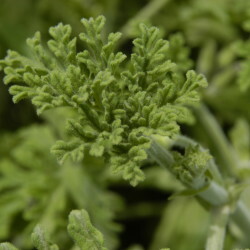 The crinkled foliage grows very dense so that plants are easily formed in any shape desired. 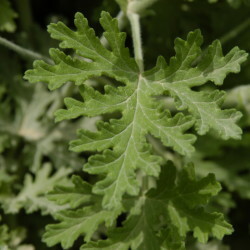 The specific name refers to the texture of its foliage, since crispum means curly. When touched, the glandular, evergreen leaves release a strong lemon scent. They are cordate in shape and fresh green. 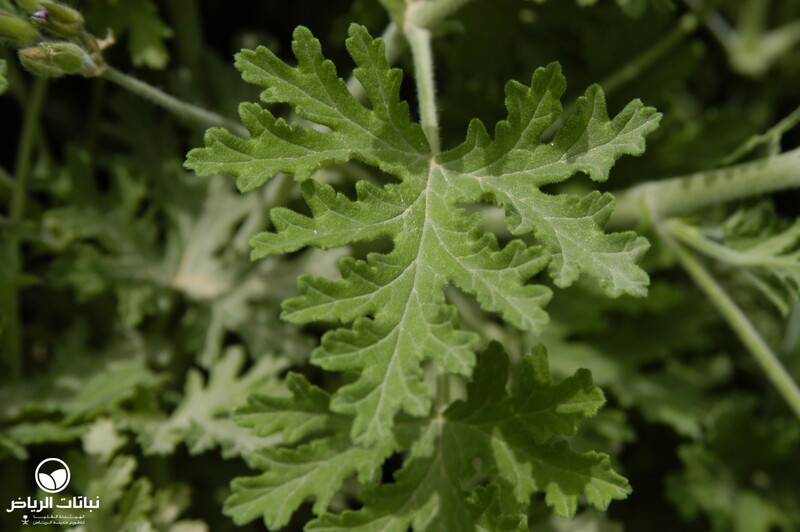 In Arriyadh’s climate, where it makes a good garden plant, it should be protected from full sun and drying winds. 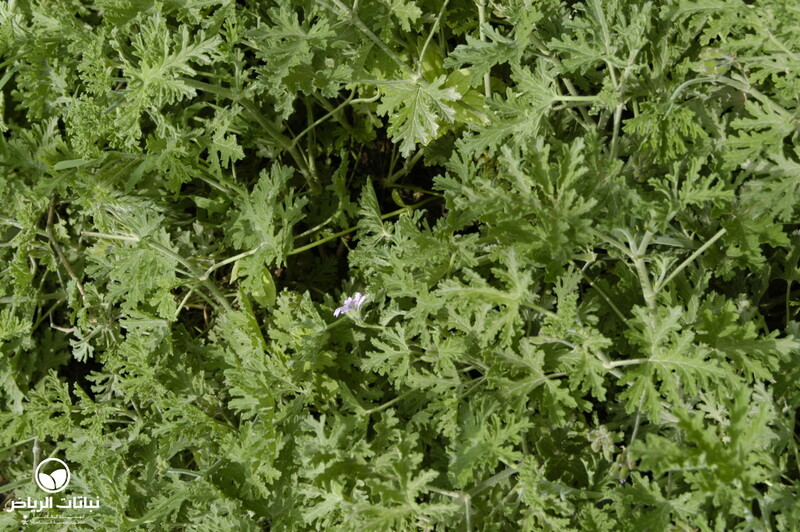 Short dry periods are tolerated, but this species does better with frequent watering in well-drained soil. To guarantee appropriate moisture and allow aeration at the same time, the ground is best improved by adding compost and perlite. All-purpose fertiliser can be applied frequently. 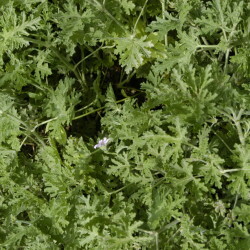 Lemon Geraniums do not take frost, extreme heat is best endured in semi-shade locations. 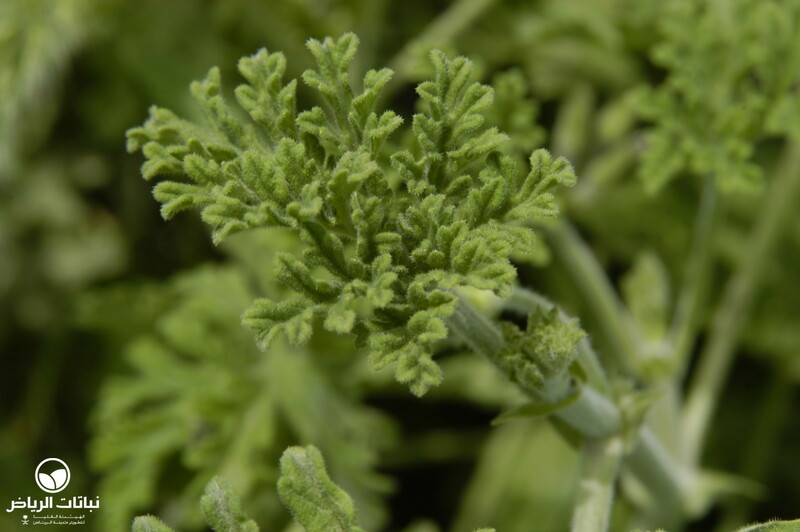 Plants stressed by adverse growing conditions are sometimes infested by spider mites or mildew. Propagation by seed is started in late winter, while softwood cuttings may be planted in late summer. The main flowering period is spring to early summer. Some varieties have been selected with more showy flowers and another cultivar, ‘Variegatum’, features leaves with ivory margins.